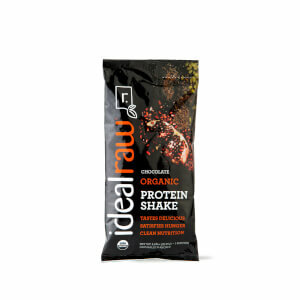 Arguably one of the best combinations ever created on planet Earth, IdealRaw Chocolate Peanut Butter Organic Protein Powder may be a mouthful to say, but it’s a flavor your mouth will crave over and over again. Every serving is the smoothest blend of chocolate and peanut butter that will make your taste buds feel like they just reached nirvana. It’s honestly like eating a peanut butter cup without all the guilt. And with the added nutrients from the superfruits and plant protein, it’s the perfect addition for those with a bit of a sweet tooth. The best protein powder. Hands down. This is my favorite protein powder. Ever. I just used the very last serving today of probably my 6th container (I've lost count). I'm really picky about my protein powder. Like really picky. But this is the best. To be completely open, my husband doesn't like it as much as a whey isolate protein. I think he's crazy, but I then I don't have to share. I wish it had more protein and not 10g of carbs a serving, but for the amazing taste, I do it. Nearly every day. I will be getting more asap. This protein powder is the first I’ve ever had that I actually enjoy in any form. 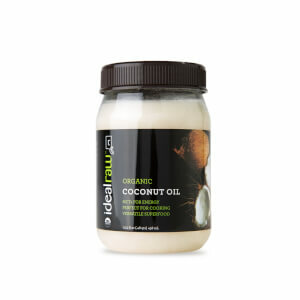 Works great in a blended protein rich green smoothie, as a add-in to pancake batter or oatmeal, and simply shaken into almond milk (or whatever) and even WATER! Tonight after working out at the gym I had no access to anything other than water and figured I’d have to choke it down. I was WRONG. It was so good. My teenager even liked it. I will be purchasing more ASAP. 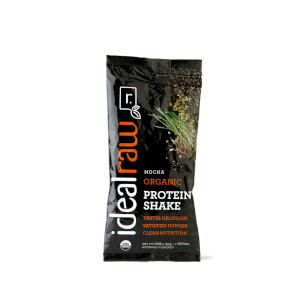 This was my first time trying IdealRaw and I was honestly a bit worried it wouldn't live up to the reviews, but I was pleasantly surprised to find the protein powder blended easily and tasted great. 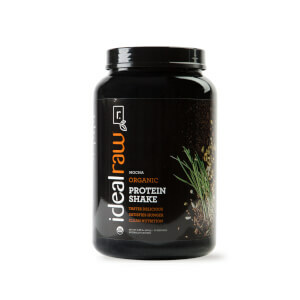 In fact, this is the first plant protein I've tried that actually tastes good blended simply with water. It tastes amazing as a hot drink in the winter too. I'm back to order more as they have made a loyal customer out of me! The best protein powder ever. So tasty, better than any other brand. I love the chocolate peanut butter, it is my favorite flavor. I am so glad I tried it! You won't regret getting it. 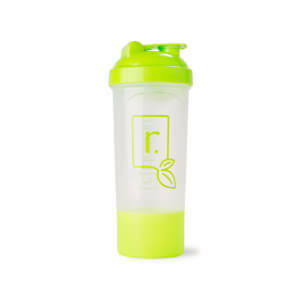 This is one of my favorite protein shakes. I also like the chocolate one. Even my 4 year old daughter likes this shake. I have searched and tried so many brands and I'm so glad I stumbled onto this site! I order a sample of each flavor. I've tried the chocolate peanut butter and the banana almond so far and they both are amazing! I put a little ice and a little milk in the blender with the powder and that's it. The texture and flavor is fabulous! Good tasting Protein Powder. My favorite flavor! It helped me achieved my fitness goals. Honest to goodness ingredients! As far as vegan protein goes, this is the best value i've found on the market and it tastes good! Minor chalkiness but nothing compared to other vegan proteins i've had that literally smell like a barn. I've been on this protein for over a year and will not be making any changes anytime soon if ever. Choc and Choc PB are the best. Vanilla needs some help. © 2019 IdealRaw | All Rights Reserved.